Ty Everett ran off to the rodeo when he turned eighteen and has been riding bulls ever since…until his last fall causes partial amnesia and he must return to Cold River Ranch to figure out what comes next. 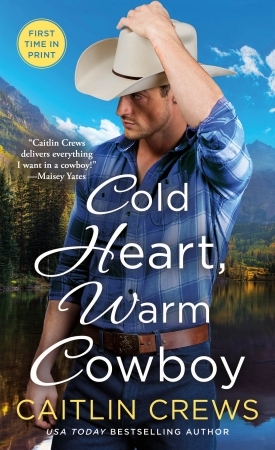 But how can he pick his next move when he can’t remember how he got here in the first place–much less the beautiful woman who appears at the ranch, claims she knows him, and warms his cold heart for the first time since he woke up in the hospital? Rodeo Queen Hannah Monroe gave up her crown for Ty Everett, and her innocence. What she wants from Ty now is a divorce. But Ty can’t remember her–or their secret wedding, or even the son she never meant to hide from him–and Hannah is torn. How can she leave the man she can’t forget and still loves despite herself? And even if she’s willing to start over, what will happen when the truth comes out? I heard you were writing more motorcycle club books. Are they connected to the Deacons of Bourbon Street series?